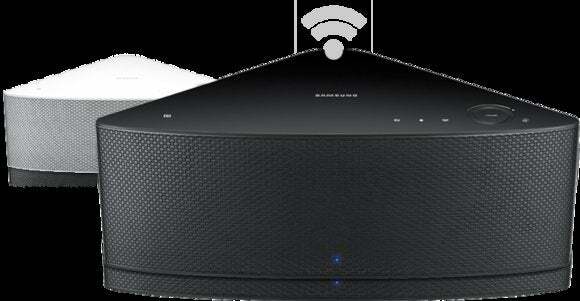 Got Samsung wireless speakers? Starting now, you can control them using Spotify, streaming the entire catalog of tunes to any room in your house. Specifically, if you subscribe to Spotify Premium, at $10 a month, you can now control your Samsung Shape wireless multiroom speakers directly from the Spotify app for Android, iOS, and Windows Phone. You can even use the Spotify Connect feature to stream music to two or more Samsung speakers at the same time. About 10 million people currently pay to use Spotify Premium, versus the 40 million-plus who subscribe to Spotify’s free service. In a bid to increase its paid subscriber numbers, Spotify recently announced a Summer Sale letting new subscribers pay $10 for three months of Spotify Premium. That sale ends June 15.